"Combining CTC's critical literacy work and Penumbra's racial justice work allows us to forge something together that neither could do alone." These words in the playbill of The Wiz, the first collaboration between these two acclaimed #TCTheater companies, brought tears to my eyes before the show even started. Especially after wading through a sea of children of all shapes, sizes, colors, and creeds. In an increasingly divided world, Penumbra (one of the longest-running and most acclaimed African American theater companies in the nation) and Children's Theatre (ditto for children's theater) give me hope, as individual companies and especially in this collaboration in which an all-black cast tells a story of a young black woman who discovers her own power through the help of friends. They give me hope that maybe we can overcome our seemingly insurmountable differences and join together in song and awesome dance to solve our problems. It's possible, right? Can't you feel a brand new day? Indeed I can. But that's a lot of serious talk for what is a super fun, extravagant, colorful spectacle of a musical (the kind that CTC does so well). 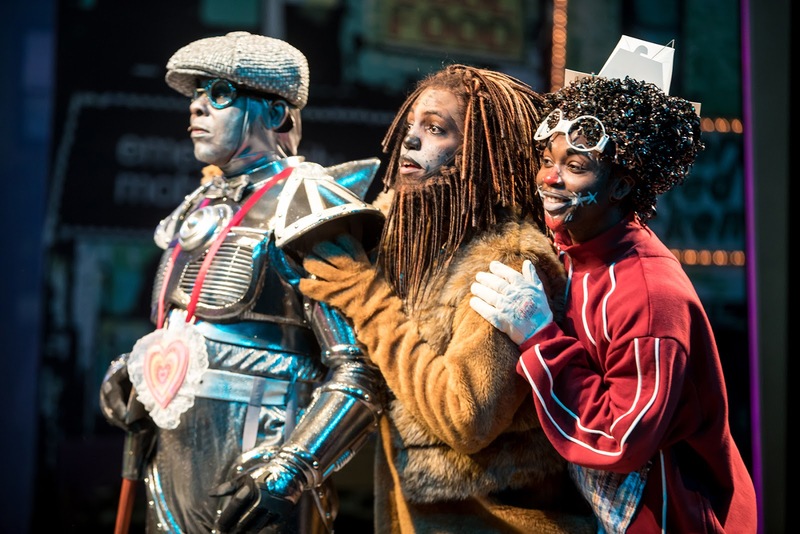 I'd never seen The Wiz before, but it seems a few scenes and songs have been cut out of the original 1974 Broadway musical (later adapted into a movie starring Dianna Ross and Michael Jackson) to make it a child-friendly two-hour length. An adaptation of the 1939 movie The Wizard of Oz, it hues pretty close to the original, with Dorothy being whisked away from her Kansas home by a tornado to the magical world of Oz. 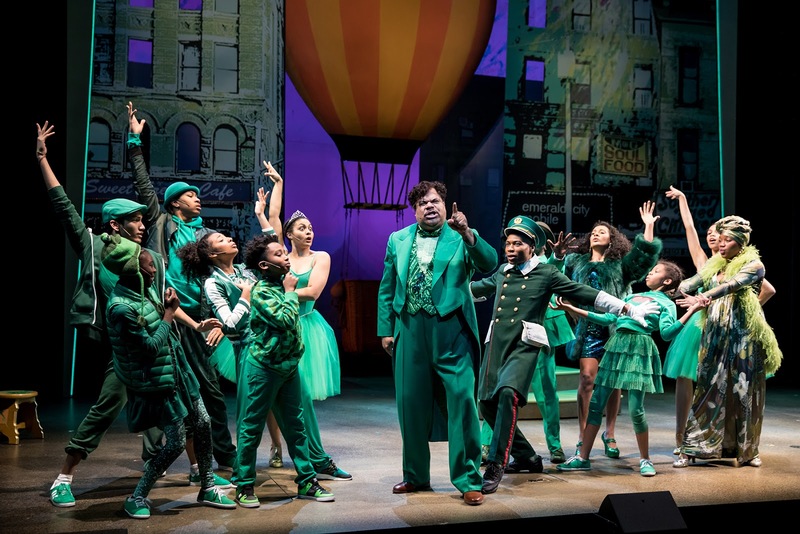 In this version, director Lou Bellamy, founder of Penumbra Theatre, has reimagined Oz as New York City, representing the "great migration" of African Americans from the rural South to the urban North. Dorothy lands in Coney Island, makes her way through Central Park (via subway, apparently) and ends up at Harlem's famed Apollo Theater - Oz. It's not a heavy-handed allegory, but rather provides a hint at a deeper meaning. who wouldn't want friends like these?! There's not much subtlety in this production, it's not that kind of a show. Everything is big, bright, and oversized, from the costumes to the choreography to the performances. And it works. 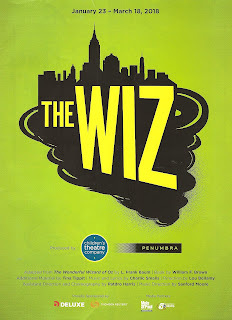 Things happen fast in The Wiz, from the tornado to the shoes to the killing of the witch to the balloon ride home. And truthfully, the dialogue feels like something we have to get through to get to the next song and dance. Because the song and dance numbers are fab-u-lous. And this cast is so chock full of local African American music-theater legends, as well as up-and-comers and a few adorable tykes, that it blows the mind. I don't even know where to begin with this cast! So let's start with Dorothy herself - Paris Bennett. The daughter and granddaughter of local music legends from Sounds of Blackness is now 29 and with a child of her own, but she doesn't look a day older than when she was an American Idol Top 5 finalist when she was 17 years old. 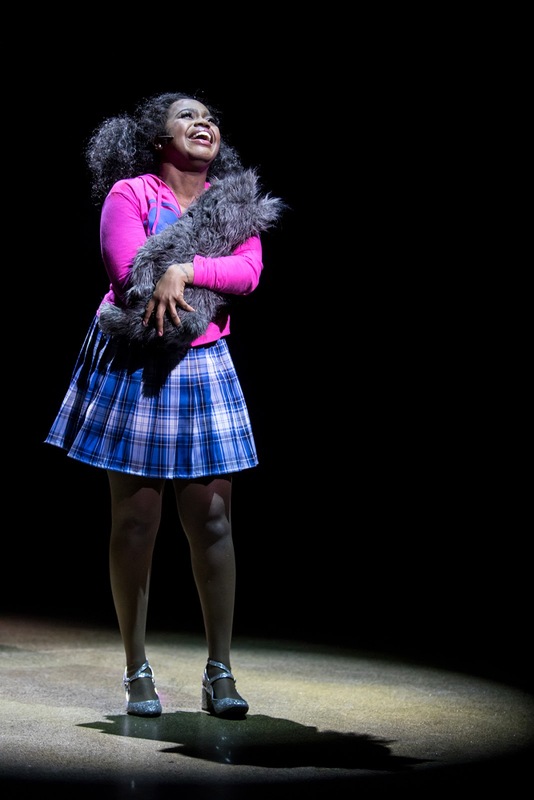 Paris was born for the stage and imbues Dorothy with a youthful charm and energy, and what a voice! Her rendition of "Home" is a highlight, closely followed by her mother Jamecia nearly bringing the house down with "Believe in Yourself." Greta Oglesby is deliciously evil as the Wicked Witch. 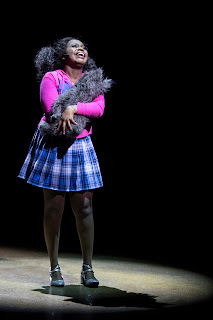 Aimee Bryant is a ditsy delight as the other good witch Addaperle. I wish T. Mychael Rambo had more than one song as the Wiz, although his boogying in a bathrobe almost makes up for it. Dennis W. Spears' performance as the Tin Man is everything, with funky robotic moves that shouldn't be possible for a man of his experience. He's still got it. Completing the trio of Dorothy's friends, CTC performing artist Dwight Leslie is well cast as the loose-limbed Scarecrow, and Rudolph Searles III makes a loveable cowardly lion. The ensemble is filled with talented performers who play multiple characters, and even personify inanimate objects like the yellow brick road. I've learned from past experience to keep my eyes on John Jamison and China Brickey, which pays off well here. The extremely catchy score of this "super soul musical" (music directed and conducted by Sanford Moore, a legend in his on right) makes it nearly impossible to sit still while watching the show, and Patdro Harris' sharp choreography, performed by these talented performers with much energy, is endlessly entertaining. "Ease on Down the Road" is everyone's favorite and reappears several times as the friends make their way to the Emerald City, but I still wanted more. Every number is so well performed and so much fun to watch! Mathew LeFebre has really outdone himself with the costume design. Everything is bright and bold and gorgeously over the top. The munchkins look like something out of a Dr. Seuss book; the Ozians are dressed in chic green attire; the witches' gowns are all glorious and different to match their personality; the scarecrow, tin man, and lion playfully look their parts; and for some reason the ensemble changes into yummy bold primary colored jumpsuits for "Brand New Day." Vicki Smith's set is a playful cartoony version of NYC, enhanced by projections (designed by Craig Gottschalk). 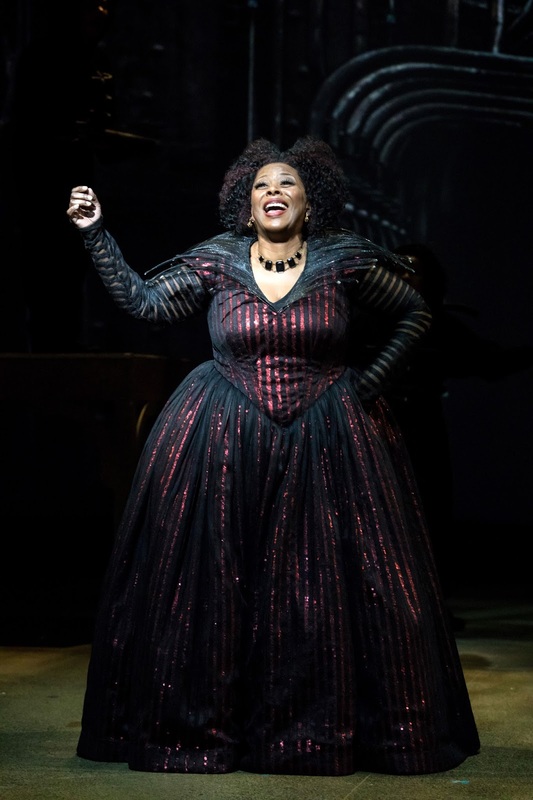 Young and old, you better ease on down to Children's Theatre before March 18 to see this exciting new collaboration that brings a beloved American story, re-imagined through the African American experience, to such vivid life. Click here for more info and to purchase tickets.